A creative way to say "thank you" to your guests whilst adding to your beach theme wedding! 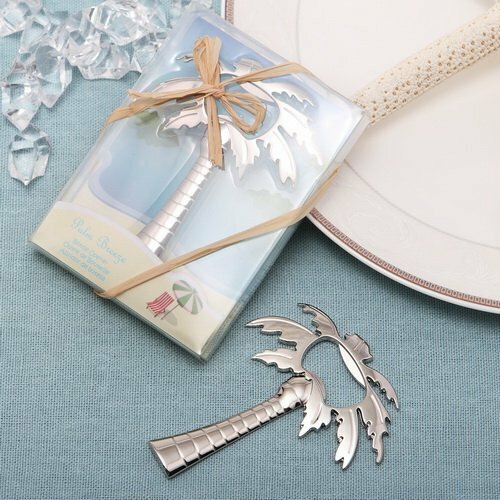 Your guests will find these so useful at home or during their summer holiday as they relax in the sun, enjoy a barbeque, and have a drink to toast - a bottle opener sure comes in handy! Each bottle opener favour comes packaged in a matching gift box as shown, finished with a raffia bow.